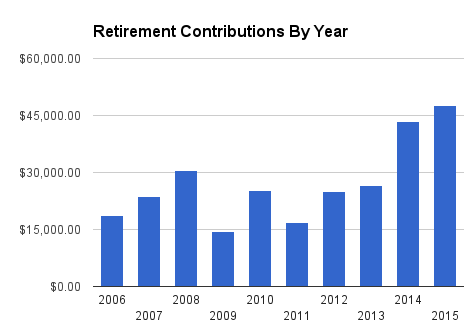 Looking back to last year’s list it really is pretty similar with my 401k mutual funds taking up about the same percentage. My stop stock holdings have shifted slightly due to appreciation/depreciation with my top 5 holdings being Netflix, Under Armour, Tesla, Amazon, and Buffalo Wild Wings of which Amazon and Tesla have replaced Chipotle and Panera. Well another year in the books and another year of growth for my nestegg. 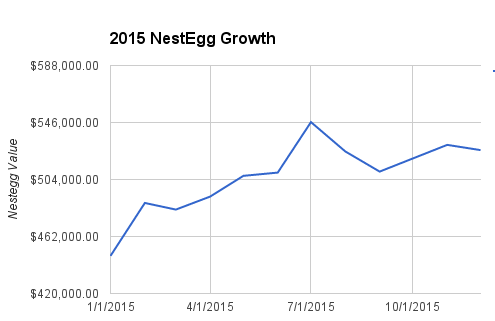 Overall my nestegg grew by over $80,000 this year and topped the half-million mark in April. 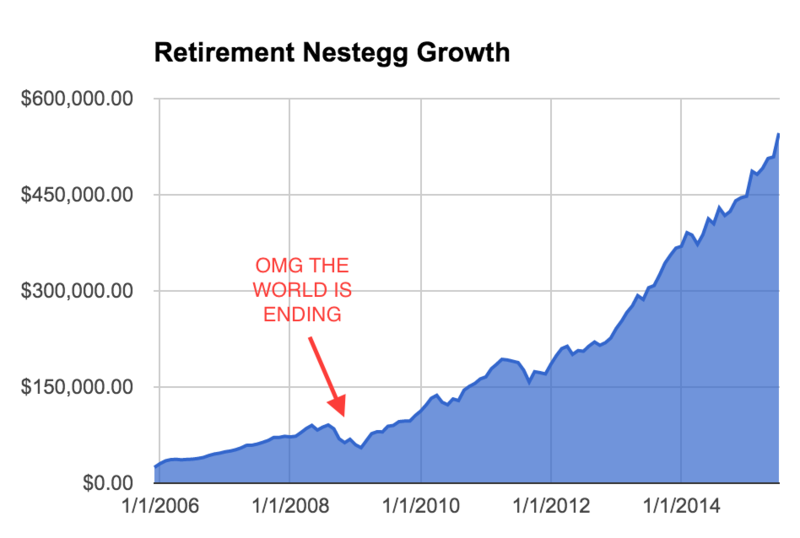 Another very positive thing is that I contributed $47,500 to my nestegg this year which is an all-time record for me as well. This is actually a little surprising for me given all of the expenses we had this year with a new baby and being in the middle of building our dream home. I definitely have $50,000 in my sites for next year – which is also what I said last year, but I still have the looming house hanging over my head so am still hanging onto a large cash cushion for surprises.